90s nostalgia in Scarborough - see if you can spot someone you know! Here are this week's pictures taken from the Scarborough News pictorial archives of the 1990s. Can you spot any family or friends - or even yourself? Pictured in June, 1997, with the t-shirts and CDs they won in a jingle competition are St Augustine's School pupils, from left, Keira Hamilton, Katrina Holdsworth, Carly Staniforth, and Rebecca Smith. Primary schools from Scarborough and Whitby took part in a children's folk dance festival at the Spa Ocean Room in June, 1997. St George's RC School's team, pictured, danced the Cumberland Square Eight. Clockwise, from left, out circle, William Unsworth, Natalie Carrington, Sean Kelly, Jennifer McIntosh; inner circle. Katie Johnson, Kristian Johnson, Laura Campbell, and Simon Lunn. 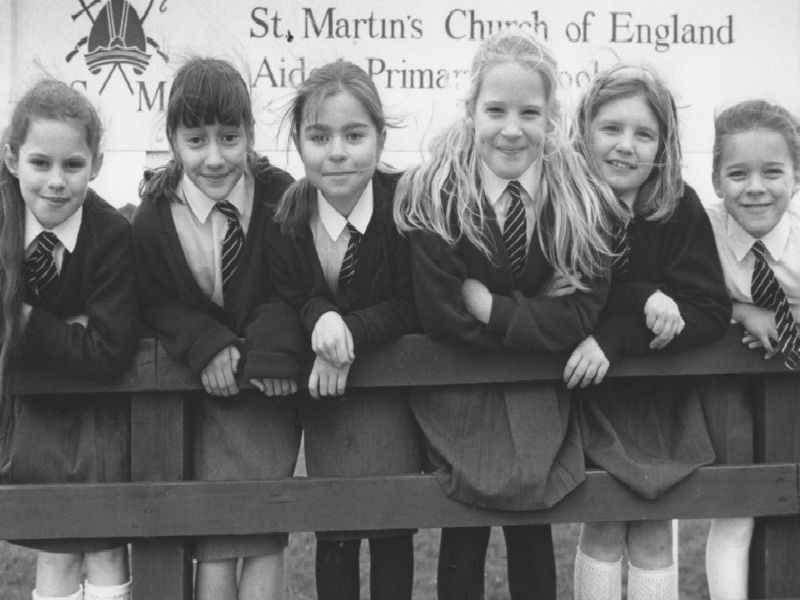 Pictured in February, 1993, are St Martin's C of E School pupils whose fundraising efforts collected a total of 435 for the Blue Peter Appeal, from left: Laura Alexander, Sophie Bashall, Jill Adamson, Elizabeth Greenwood, Laura McGill, and Katy Swailes.